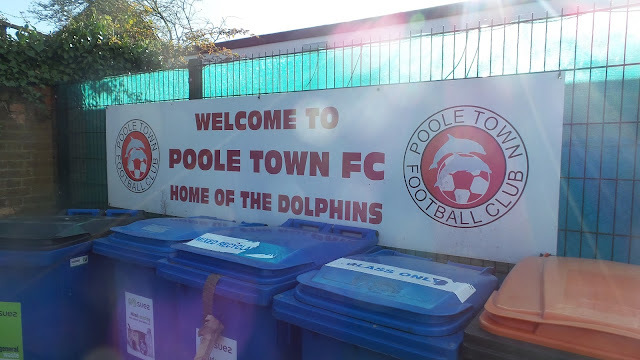 The club was formed in 1890 as a merger of POOLE HORNETS and POOLE ROVERS and have been known as POOLE ST MARY'S and POOLE during their history, before settling on POOLE TOWN in 1934. They played in the Dorset and Hampshire Leagues initially, joining its second tier. They'd remain in Division 2 until the outbreak of World War 2, with a best ever finish of 4th in 1939. Following the resumption of football, they were placed in Division 1. After one season back in the lower tier and four runners-up spots, they were Champions in 1957. This meant promotion to the Southern League, and they remained here up until 1996. During their time here, they spent time in both tiers of the competition with their best finish coming in 1969. 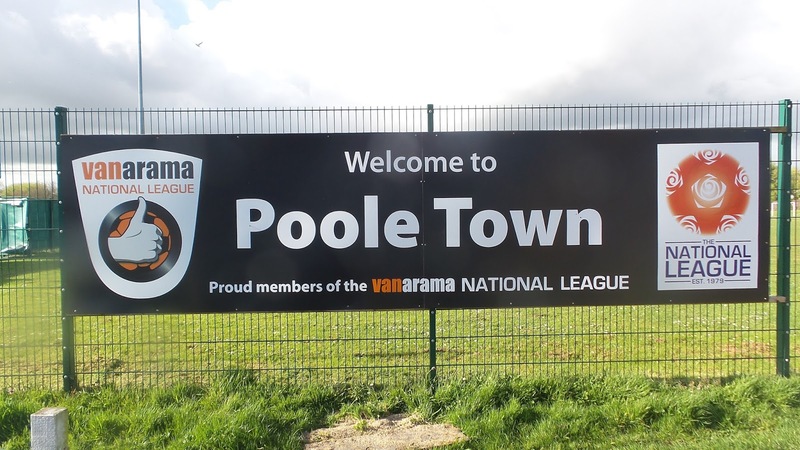 The final few years of their initial membership of the Southern League were fraught time - the loss of their Poole Stadium home due to speedway and greyhound racing in 1994 hurt the club badly with their final season of 1995/96 seeing them gain just a single point all season, conceding 188 goals in the process. At the time they groundshared with Hamworthy United as it was the most local ground that met Southern League regulations at the time. 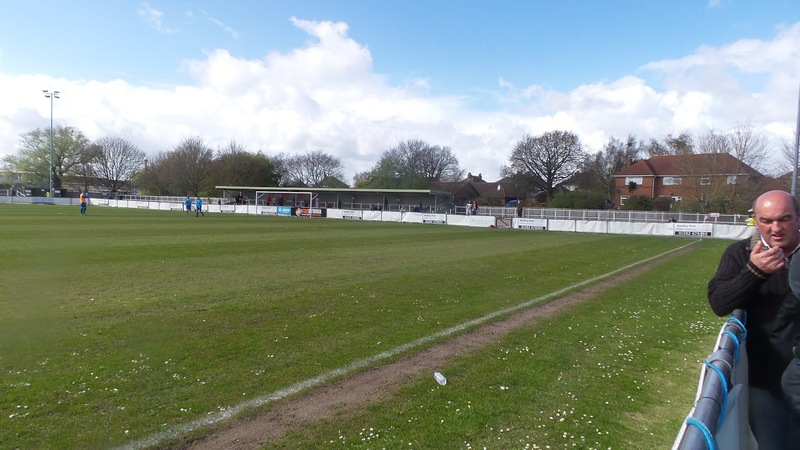 An increase in costs led them to voluntarily drop down to the Hampshire League and in the following years they shared with Holt United before moving back to Poole and eventually their current Tatnam home in October 2000. After four seasons in Division 1, they were promoted to the Premier Division around the same time as they moved back home. 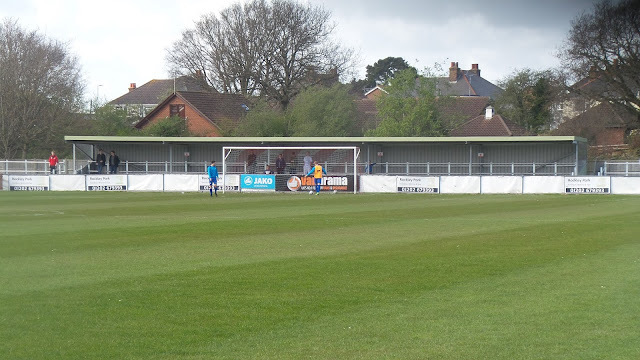 A third placed finish in 2004 was good enough for promotion to the Wessex League's second tier and they followed that up straight away with promotion to the soon to be renamed Premier Division in their first season after they finished runners-up to Lymington Town. After finishing as Wessex League Champions three times in a row, gaining over 100 points on each occasion they finally got the facilities in place to take up promotion in 2011. This was the start of a momentous few years for the club with them finishing as runners-up in their first season in the Southern D1 South & West. Though they lost 3-1 to Gosport Borough in the playoff final, they would be promoted as Champions the following season to the Southern Premier. 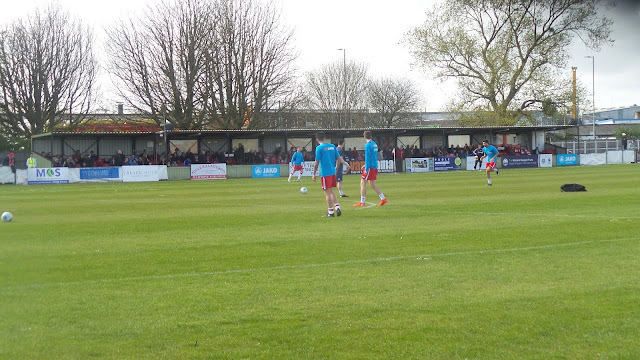 A credible 7th place in their first season was followed up with a runners-up spot in 2014/15, however, they lost out to Truro City in the playoff semi-finals. Last season Poole Town were Southern League champions and they've followed up with a brilliant first season in the Conference South, sitting comfortably in the playoffs at the time of the game. In the FA Cup Poole Town reached the 3rd Round in 1927 and have reached the 1st Round on a number of occasions. In 1946 they took QPR to a replay before losing 6-0. 1962 saw them take Watford to a replay, but they lost out again, this time 2-1. QPR stood in their way again in 1966, this time they lost 3-2. Finally, in 1983 they took on Newport County, earning a replay before going out 3-1. Their best ever progress in the FA Trophy is the 1st Round, a feat which they have achieved three times. 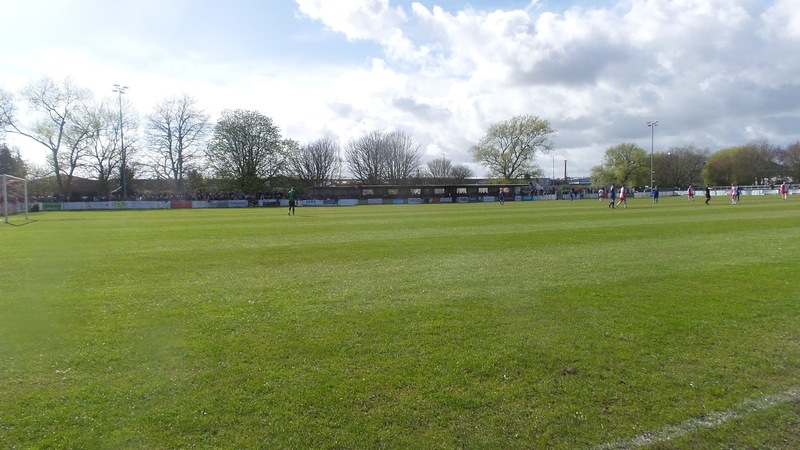 In their final season in the FA Vase, they reached the semi-final, losing out to eventual winners Whitley Bay over two legs. Locally the club has won the Dorset Senior Cup on sixteen occasions, the Trophyman Cup twice as well as a couple of Southern League cups and a Western League Cup. Undoubtedly, the club's most famous ever player is Charlie Austin. He moved to Swindon Town after an incredible 48 goals in 42 games for a rumoured fee of £180,000 in 2009. Horndean were one club that would have been happy with Poole's promotion to the Southern League as record home wins (10-0 in 2009) and away wins (11-0 in 1998) were both gained against the Hampshire outfit. The club's record crowd of 6,575 came against Watford in a 1963 FA Cup replay, whilst at Tatnam, the 2,203 that turned out for the 2015 'winner takes all' game against Corby Town on the final day of the season. Originally on this day I was planning to pay a long awaited visit to Congleton Town with fellow hopper Chris. However, with him out of action due to a slipped disk and my other regular hopping partner Anwar off to Leyton Orient v Wycombe Wanderers, I'd be on my own. I decided that it would be an ideal opportunity to head south. A mind-boggling 47 options were open to me, and this was slimmed down to 19 once I had ruled out ones that were not very local, or didn't have a decent pub nearby. My first choice would have been Newport IOW v Fareham Town as the hosts were leaving their home soon. 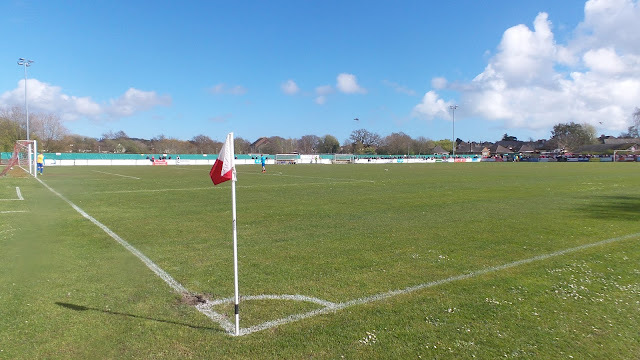 I asked Fareham Town secretary Paul 'Splodge' Proctor if there was any chance of a coach, but the expense of the ferry crossing had put paid to that. 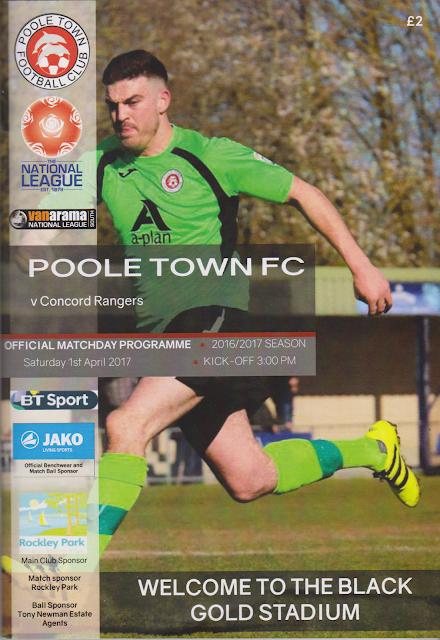 It was the same cost that prevented me going - it would cost £20 return as a foot passenger and even more with a car, Second choice was Poole Town, as it was the one remaining ground I needed in the Conference South. 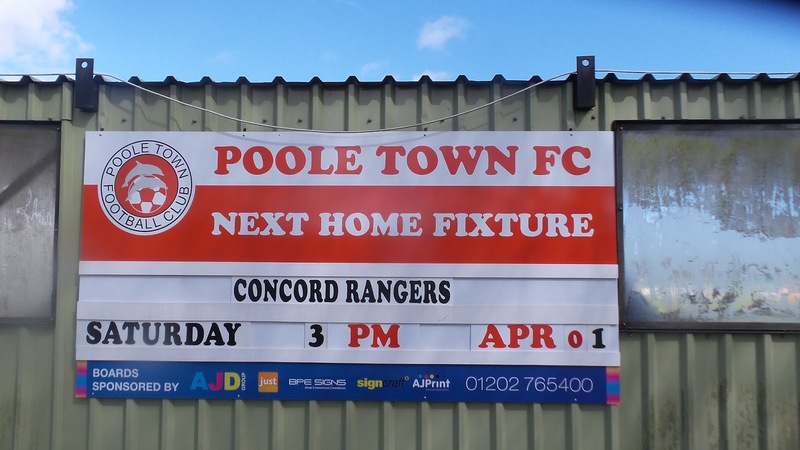 Happily, their game against Concord Rangers was a 'pay what you want' event so I could offset the high fuel costs with a more manageable admission price. There were plenty of decent pubs in the pleasant-looking town of Poole, which was around a mile and a half walk from the ground itself. 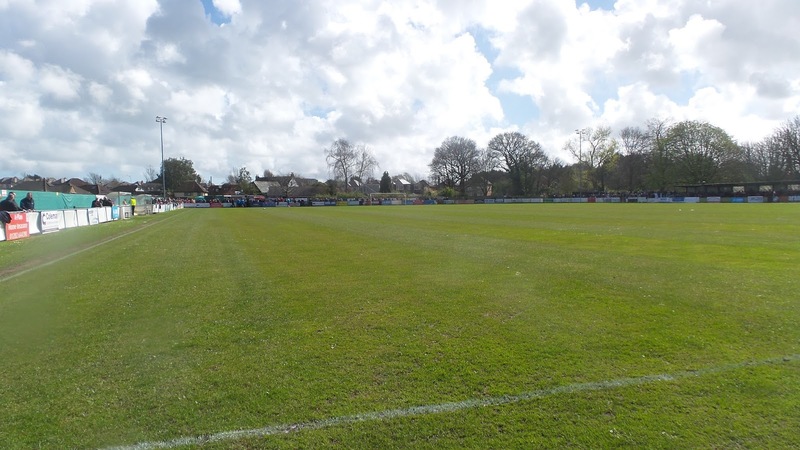 There was good news from the club in the week leading up to the game, with them pretty much being given the green light to continue in the Conference South after they made some improvements to their ground. Hopefully this will also mean being allowed to be in the playoffs, what with manager Tom Killick and his players doing a fantastic job so far this term. In the days leading up to the game there was a disappointing lack of football for me. The night before, plans were put in place for next week with somewhere on Tuesday, Warboys Town on Wednesday and a nice revisit to Stamford Bridge next Friday. The last of these was a decent find as thanks to Chelsea moving their Premier League 2 game against Sunderland to Stamford Bridge, it meant I could do a revisit for a fiver. I had a few drinks too, which helped me unwind after a hard week at work. I woke on the day of the game around 7.30 and after watching TV for a while, had some breakfast. After having a bath and catching up on Twitter, I left at 9.30. It was a decent journey down, with the only delays being when I got nearer Poole. I was parked up near the ground in a side road. The Sat Nav directed me to a school but I actually walked past the ground on the way into town. It took me around half an hour to walk to my destination, though it was a pleasant stroll in the warm sunshine. First stop was the Stable Cider Bar. Sadly this was not a week where they sent out special offers in their email, so it was a strictly liquid visit for me. 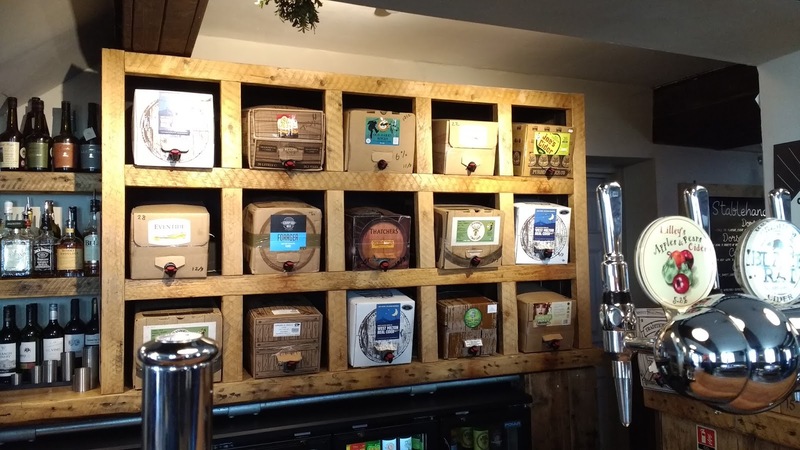 First off was a pint of Cranborne Medium which was very nice and helped refresh me after my mile and a half walk. For my second pint, I had a pint of Dragon Tears which was also good. Some old geezer started talking to me and insisted on telling me a potted history of his career at Millers Pie and Sausage factory which he had a watch for long service from. 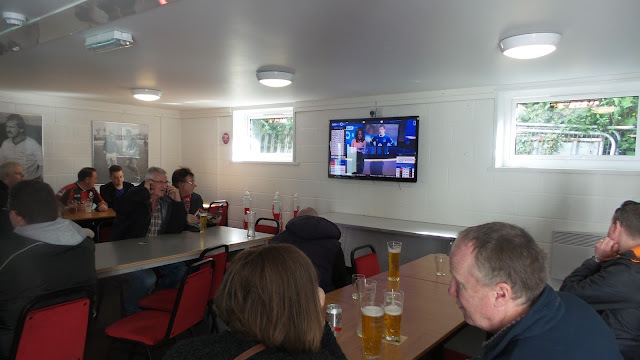 It was a shame it was not still around as that would have been just the ticket for lunch but with him rabbiting for England, I decided to drink up and leave. I was in search of lunch and was fairly hungry, so became a bit of a glutton in the next hour. First up were some chicken wings and a chocolate bar from Poundland. Then wanting something hot, I got a portion of chicken nuggets and chips from a local chip shop. I then got tempted into a bakery and bought a couple of Chicken Jalfrezi bakes. From there it was time to walk to the ground. After dropping off and picking up some bits from my car, I went in the ground with around 25 minutes to kick off. With today being 'pay what you want' I chipped in a fiver, which made the day a bit more manageable, cost wise. I also bought a programme for £2 and to add to my gluttony, a Pork Pie for £1.50. 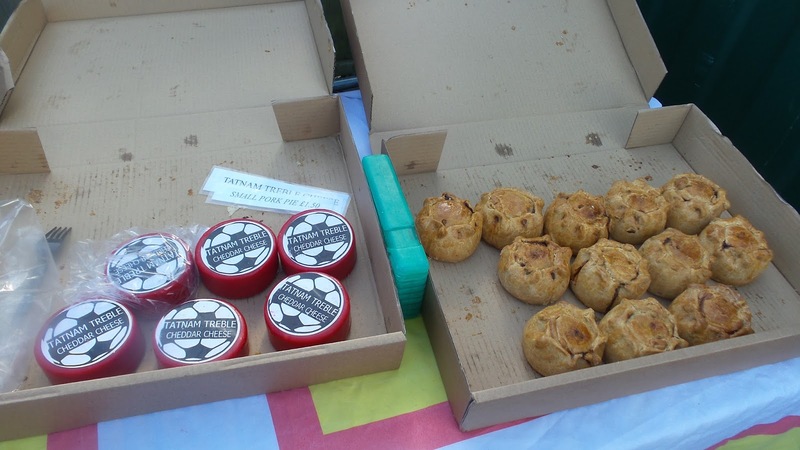 Both were very good for the money, the programme was glossy and full of facts and stats and the pie was delicious. 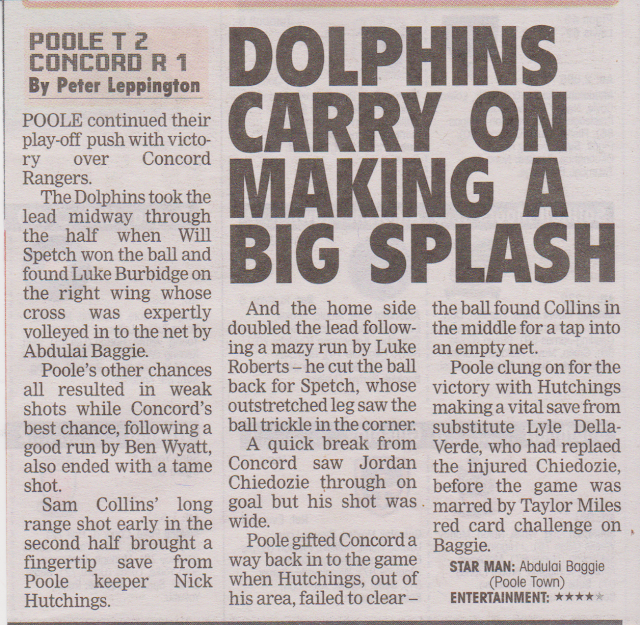 In the end, Poole Town won 2-1, the match report of the game is above, scanned in from the non-league paper. It was good to spend the game in the company of Adam Thurston who is doing a groundhop challenge for Prostrate Cancer. I later donated what I saved on full price admission today to this worthy cause. It was 5.05 by the time I'd got back to my car, and impressed by their non-league podcast, I tuned into BBC Solent. Sadly they were covering the Southampton v Bournemouth game, though I will listen to the podcast tomorrow morning. Instead, I tuned into Radio 5 to listen to the reports and post match phone in. After a good journey, I got in just after 7 and carried on listening to the radio. Later on I listened to the full-time phone in on TalkSPORT whilst I wrote up some of my blog. My night ended like any Saturday night - a couple of ciders and Match Of The Day before going to bed around midnight. The TATNAM GROUND has been built from scratch in a school field, so maybe it's no surprise that it's a fairly uninspiring venue. 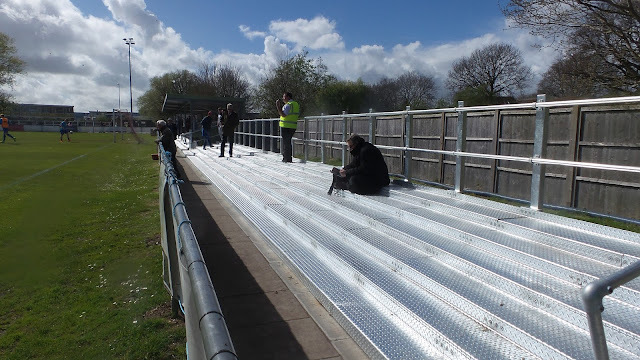 All of the stands are metal, with a covered stand holding around 300, and a covered terrace for around 400. In recent times, some open steps of terracing has also been added, to guarantee their participation in the Conference South next season. It is still a great day out though. 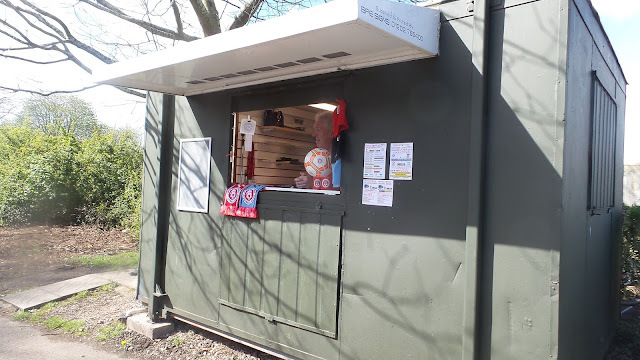 There's a basic shop with merchandise and a club bar with their own real ale amongst other things. The best part is the food though. 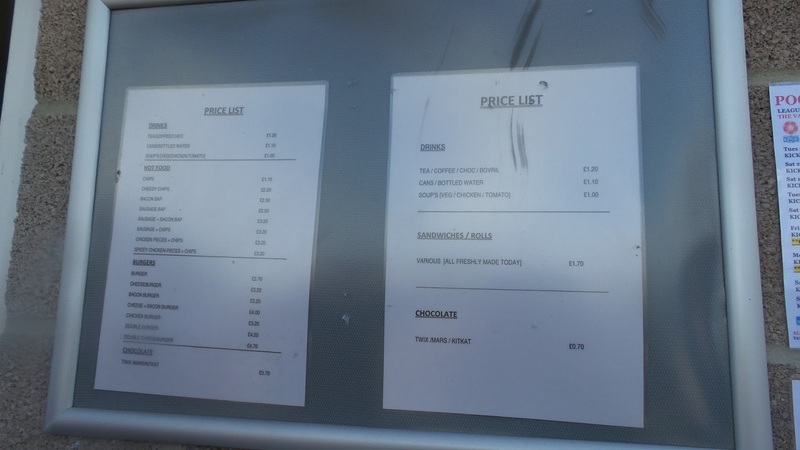 There is always a decent looking tea bar, though on my visit, there were a couple of additions. A hog roast and a stall selling pork pies and club cheese, with the pork pie being top notch. The town is around a mile away and includes several pubs worthy of investigation, no matter what you are looking for.